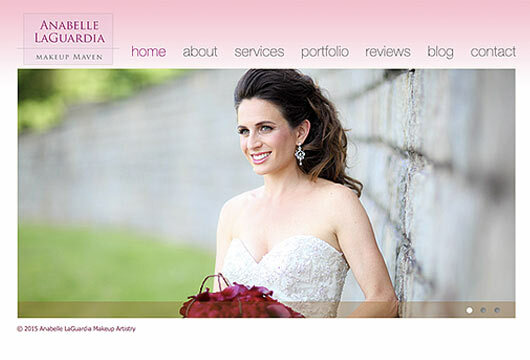 Anabelle LaGuardia is a professional makeup artist in NYC that services weddings and commercial print / video projects. Her goal: upgrade her wedding brand and replace her old D.I.Y. site done on Wix. To help her accomplish this, PrettySmart designed a new logo, and also developed a WordPress website with a clean, modern layout to attract high-end clients.